Advanced Fuel Polishing Service Fine Filter Systems are a powerful addition to your Mobile Tank Cleaning & Filtering System. They are constructed from durable steel, and provide large capacity, heavy-duty pre-screening for tank cleaning jobs with extraordinary amounts of sludge, rust, scale and other contaminants to protect your equipment. 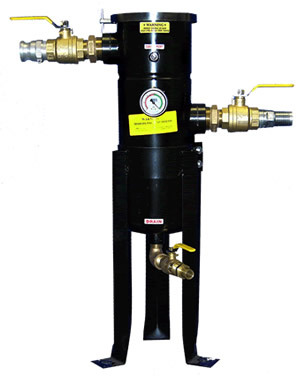 Our systems feature cost efficient pre-filtering,easy connectivity & filter change, a large holding capacity, a variety of filter applications, a variety of micron filter options and ASME Certification (Optional).